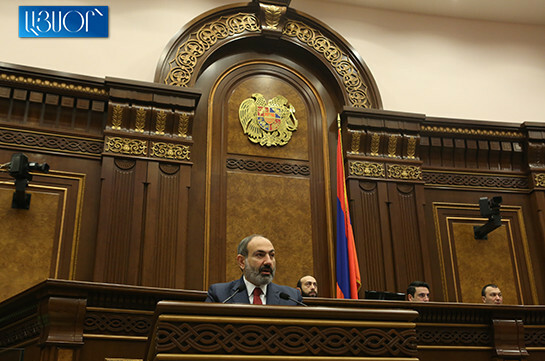 Gas prices will not go up for consumers in Armenia, Armenian Prime Minister Nikol Pashinyan stated today at the NA during the discussion of the government’s program, in response to the question of Bright Armenia faction MP Arman Babajanyan. The MP said he was trying to understand how the raise of the prices by Russia will be compensated in case when Pashinyan stated that the budget will not subsidize. 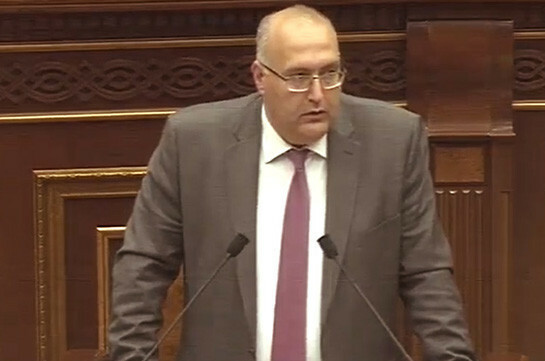 Babajanyan also expressed concern over gathering domestic debt if the negotiations with Gazprom Armenia fail. “The state is not buying gas from Russia, it is being done by Gazprom Armenia while the state deals with Armenian consumers and we have stated that in 2019 the prices will not grow for consumers. As to the negotiations, they relate to protection of our interests,” the PM said. Pashinyan also said there is a need of discussion of the issue in the sidelines of Armenian-Russian relations and EAEU. “These discussions must take place, and we must defend Armenia’s interests. As of the moment we have the issue of optimization and raise of efficiency of Gazprom Armenia company and the system,” Pashinyan said. Yesterday speaking to employees of Ararat Cement factory, he said that today he will meet with the members of Economic Affairs Standing Committee. ​He said that Armenia’s Finance Ministry has already applied to the Russian one with the proposal to prolong the usage of credit resources by the end of 2021, Aysor.am correspondent reports from Sochi. He said Gazprom Armenia has worked out certain proposals on the basis of which the price will be subsidized. The proposals are yet to be discussed with Gazprom. Chairman of the committee Babken Tunyan offered not to set state fee on clinker and set a fee amounting to 22,000 AMD on imported cement with a year term.